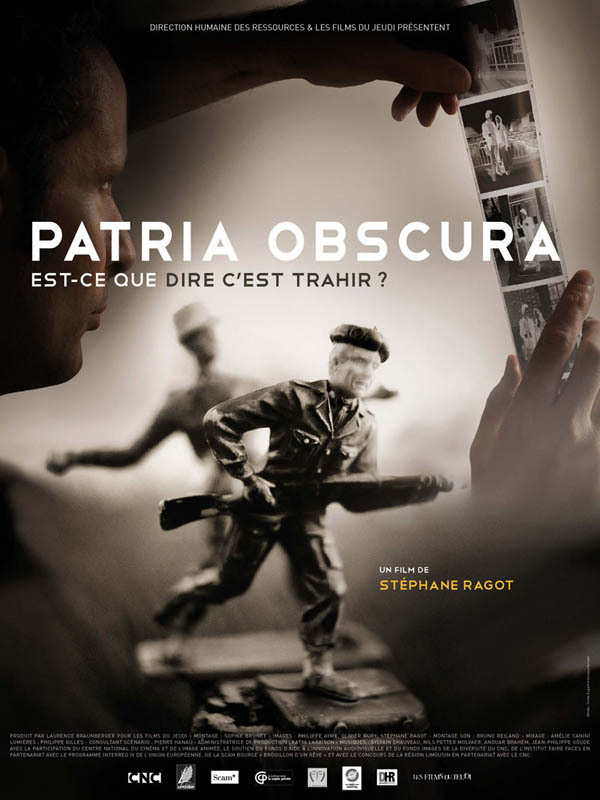 Patria Obscura is a documentary film made by Stéphane Ragot under the auspices of 1914FACES2014. In Patria Obscura, the military past is addressed through the lens of family history and remembrance, including Ragot’s own memories of his grandfathers. The film engages with the history of the gueules cassées, and will be screened at the University of Exeter on 26th May 2015. The screening will take place from 19:00-21:30 in Queen’s Building LT6.1. All welcome. 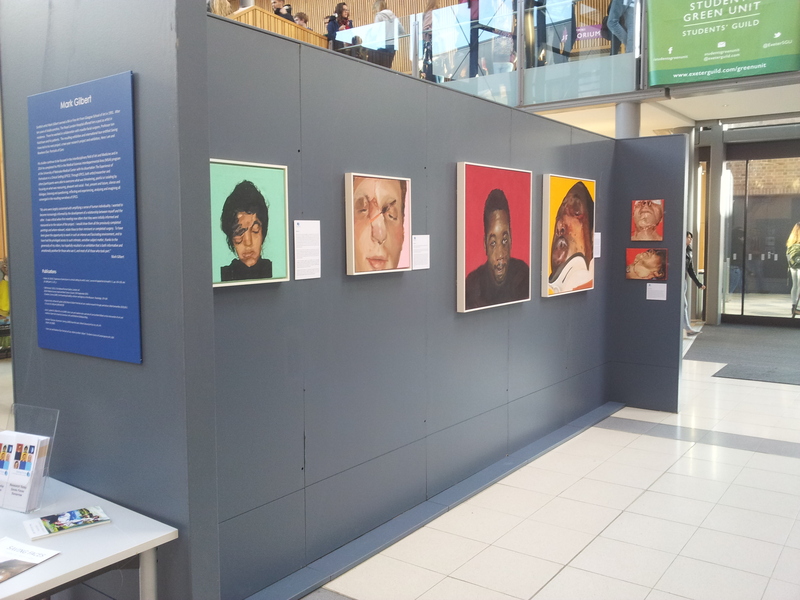 Mark Gilbert’s portrait paintings are presented on the University Campus in conjunction with the 1914FACES2014 project and the Faces of Conflict exhibition currently on view at the Royal Albert Memorial Museum (RAMM), Exeter. Mark Gilbert’s portraits were made during a residency at St Bartholomew’s, during which he worked intensively with the patients of Oral and Maxillofacial surgeon Iain Hutchison. 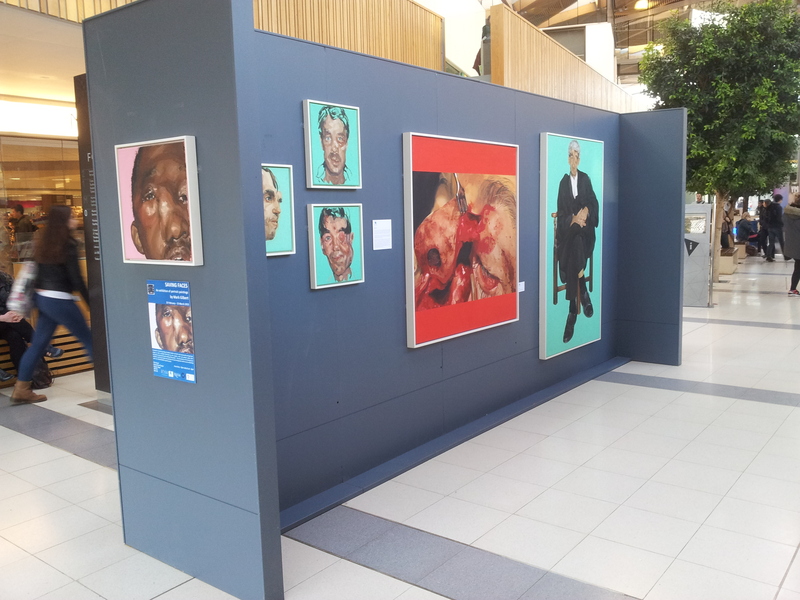 Mark’s paintings are about something that lies beyond both physical appearance and surgical procedures. Almost without exception the sitters have found the process of being painted of great therapeutic value in coming to terms with what they have experienced and how it has altered them, both physically and psychologically. This body of work provides new perspectives on the role of art as therapy and examines the potential for initiatives such as Saving Faces to contribute to social (re) integration. Society’s understanding of the traumatic psychological impact which such injuries and illnesses inflict on the sufferers plays a vital role in easing the pain and helping the patient to (re)integrate into life in public. 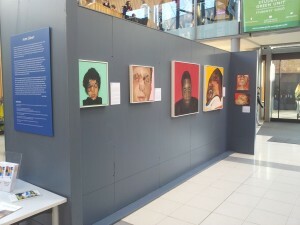 This moving body of work transforms the viewer’s perception of facial disfigurement and consistently fosters empathy. 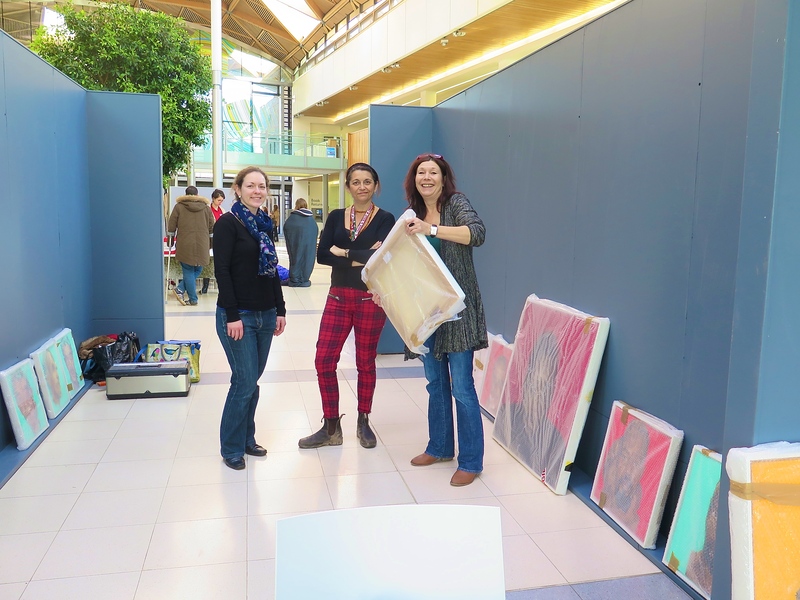 The mature, moving and pro-active response of University of Exeter students to this exhibition is a tribute to Mark Gilbert’s insightful skill and Iain Hutchinson’s vision. 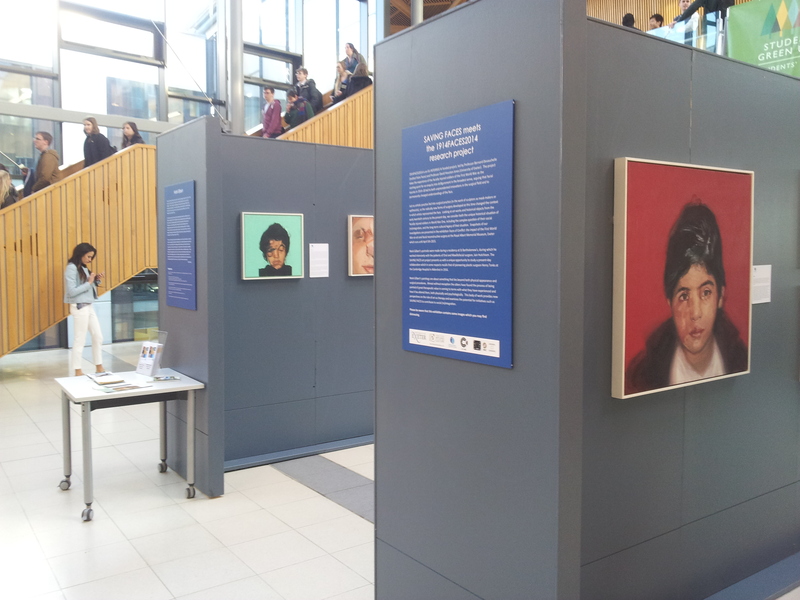 Some of the students have been inspired to explore their reaction to the portraits and the complex questions of obscured identity which they raise in texts, poetry and a flash reading alongside the exhibition. 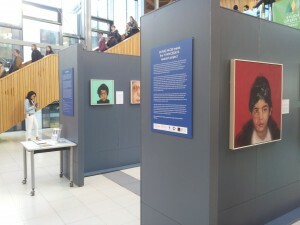 The Saving Faces art project presents us with this unique opportunity to study a present-day collaboration which in some respects recalls that of pioneering plastic surgeon Henry Tonks at the Cambridge Hospital in Aldershot in 1916. The narrative of this historic collaboration between surgeon and artist is presented in the exhibition Faces of Conflict: the impact of the First World War on art and facial reconstructive surgery until the 5April in RAMM. Scottish artist Mark Gilbert earned a BA in Fine Art from Glasgow School of Art in 1991. 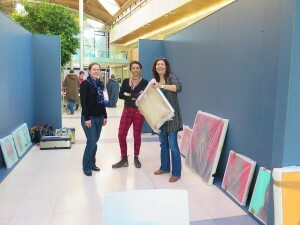 After ten years of studio practice, The Royal London Hospital, England offered him a post as artist in residence. There he worked in collaboration with maxilla-facial surgeon, Professor Iain Hutchison and his patients. The resulting exhibition and international tour entitled ‘Saving Faces’ led to his next project: a two-year research project and exhibition, ‘Here I am and Nowhere Else: Portraits of Care’. His studies continue to be focused in the interdisciplinary field of Art and Medicine and in 2014 he completed his PhD in the Medical Sciences Interdepartmental Area (MSIA) program at the University of Nebraska Medical Center with his dissertation The Experience of Portraiture in a Clinical Setting (EPICS). Through EPICS, both artist/researcher and sitters/participants were able to overcome what was threatening, painful or isolating by focusing on what was reassuring, pleasant and social. Past, present and future, silence and dialogue, listening and questioning, reflecting and experiencing, analysing and imagining all converged in the resulting narratives of EPICS. To subscribe to the latest updates please use the link below with your RSS reader or paste the link into the form at https://blogtrottr.com/ to get email updates.